1) iPod Nano- because I lost my old Nano in my apt - how does this happen? 2) Flowerbomb Gift Set by Victor & Rolf- because it is the bomb! Lol, no seriously, it is a divine scent! 3) Goody Colour Collection Mini Claw clips- because they make your hair look styled in less than a minute! 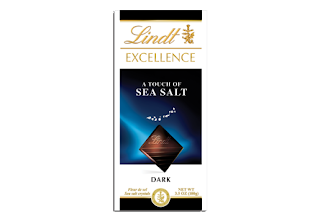 4) Lindt: A Touch of Sea Salt Bar- dark chocolate with Fleur de Sel (a premium French sea salt). Once you try this you will fall love - the combo of sweet & salty is pure perfection! 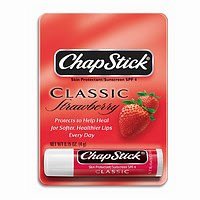 5) Strawberry Chapstick- hello, how can you live without this?!?!? Thank you Amy- that chocolate does sound delicious! 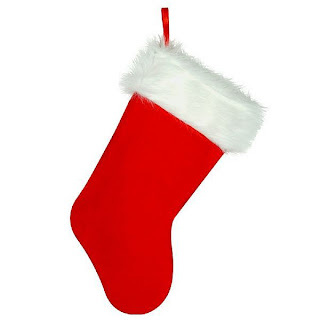 Tomorrow is the final stocking... mine! Lindt Sea salt? I haven't tasted this yet...sounds yummy. now this lady has taste! flower bomb is my scent. i've been wearing it since it first hit the shelves and i'm still loving it! actually wearing it right now! I don't know which is more delish, the chocolate or that ipod?! Loving your blog...I have the pink nano and it's so tiny i lose it in my bag!!! Hope you have a great holiday!!!! haha I love the Nano comment. Leah: You must try the chocolate - stat! Cafe Fashionista: If I leave my apt without my chapstick - I will either buy a new one imm., or go back & get it, LOL! oh! love Amy! :) great picks, and great feature!